Liverpool and Egypt's Mohamed Salah is now the worst finisher in the Premier League so far this campaign, despite scoring three goals since the Merseyside club’s start to the new season. 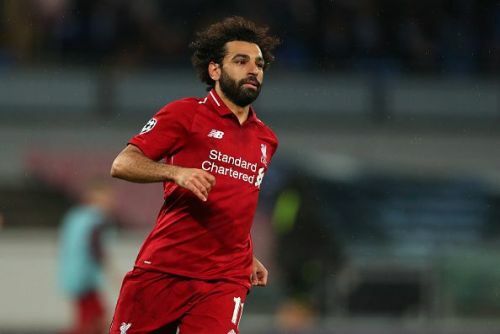 Egyptian ace Mo Salah came under the spotlight last season, scoring a record-breaking 32 goals in the Premier League, ultimately winning the Golden Boot for the achievement. The Liverpool forward also helped his side reach the Champions League final where they went head-to-head with La Liga giants Real Madrid. However, the Egyptian kicked off the current season to a dull start, struggling in front of goal and looking far from the player we saw last campaign. Statistics have revealed that Mo Salah is the worst finisher in the Premier League so far this campaign. Despite scoring three goals for the side against West Ham, Brighton and Southampton, Salah is evidently rough on his finishing so far. Out of 32 shots, Salah managed to convert only three, with seven being missed chances. The most evident of statistics to determine his efficiency in front of goal is the expected goal value (xG). Every shot taken in a match is analysed and given an xG value depending on the difficulty of the said shot. The xG determines the probability of a shot that will end up as a goal. The higher the team's xG figure than actual goals scored, it will be because the team is wasteful in finishing an effort or that the opposition goalkeeper is in-form or both. On the other hand, if a team is scoring more than its xG then it is because of a goalkeeping error or an attacker's individual heroics. Salah has the highest xG of any player in the Premier League this season with 5.91 expected goals. This indicates that the forward was met with the most convertible chances this campaign. Having netted only thrice this season, there is a big difference between his expected goal value and his actual goals, thereby making him the worse finisher in the domestic league so far. The Egyptian ace was recently nominated for the prestigious Ballon d'Or for his individual heroics last season. Whether he will get back in goal-scoring form to once again be a contender for the accolade next season remains to be seen.